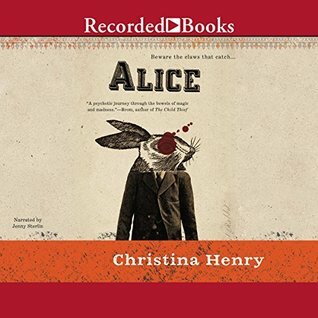 Alice is a young woman living in an insane asylum in a city divided. She grew up in the New City, and at sixteen, she went with a friend, Dor, on an adventure into the Old City. The Old City is completely surrounded and contained by the New City, and contains all that the New City would like to deny. That includes dirt and poverty, but also crime and magic. The adventure did not go well, and Alice is returned to the New City talking only of a tall man with long rabbit ears. Soon she is hospitalized, and is fed powders with every meal that dull her senses and awareness. 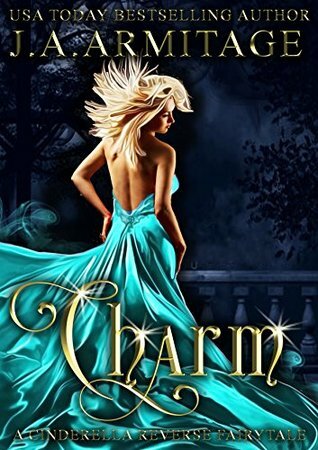 This is a modern retelling of Cinderella. Princess Charmaine is the second daughter of King Aaron of Silverwood, with no worries about ever being the heir and eventually the queen. At least, not until her elder sister, Grace, dies suddenly of an unsuspected heart defect. Quite abruptly, she's thrust into the plans made for her sister, which include a large ball in just a few weeks, at which she will meet one hundred eligible men. And from those eligible men, she must select five to stay and "date" her, with the goal of selecting one to be her bridegroom, at the already-planned wedding which will take place in just six months. Some young women might welcome this as terribly romantic. Charmaine is horrified, even apart from her grief for her sister and the fact that she'd rather not be queen. 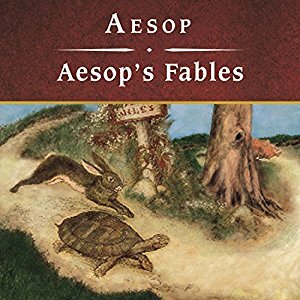 This is an enjoyable, quick (under three hours) reading of all of Aesop's fables. There are a few where I thought that this must not be the same translation I read as a kid, but that was a long time ago, and I don't read Greek, so who am I to argue? Regardless, it's well done and worth a listen. Eve Dallas is back again, and this time the murder victim almost literally drops at her feet. She's reluctantly having a drink with Garnet de Winter at a bar Roarke owns, a French-oriented bar called Du Vin. 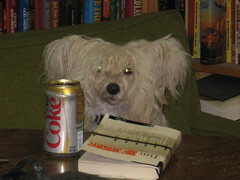 She's noticed that a well-known gossip columnist, Larinda Mars. She barely notices when Mars heads downstairs to the ladies' room, but everyone notices when she comes back up into the bar. Mars' arm is soaked in blood, and she is staggering and seemingly barely aware. 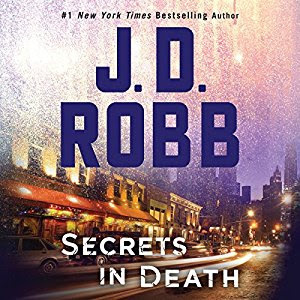 It's not long before Dallas, Roarke, and Peabody are tracking down her killer, a search which gets ever more interesting when they discover she's been blackmailing the well-heeled. Soon they find she was choosing her targets very carefully. Also, that her background may not be the one her official records show. I'm impressed that even 45 books in, J.D. Robb is still keeping the In Death series, fresh, interesting, and completely absorbing. 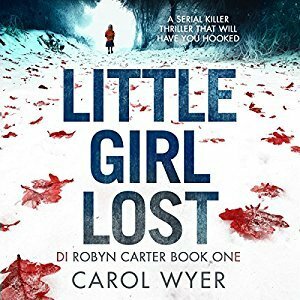 DI Robyn Carter is just about to return to work on the police force after an extended leave following the death of her husband and unborn child. During her leave, she's worked temporarily with a friend, Ross Cunningham. He's a former police officer who now runs a private detective agency. 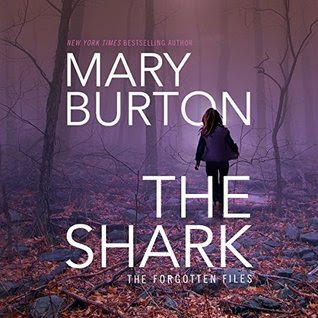 For her last case with him, he hands her a woman, Mary Matthews, whose husband has disappeared. There's no apparent reason, and also no apparent evidence of foul play, and initially very little to go on. Alix London is trying to build a career as an art restorer and as an art consultant, nine years after her father, Jeffrey London, once a noted art restorer, was convicted of art forgery. She's on the coolest of terms with her father, now out and in the art importing business, who nevertheless persists in trying to maintain contact with her. Then one day she's approached for a job that could be the true start of her consulting career. A woman just beginning in collecting art wants Alix to evaluate a Georgia O'Keeffe painting she has been offered. Soon she's on a chartered plane from Seattle to Santa Fe. This book was the basis of the fourth of Disney's Pirates of the Caribbean. On the one hand, it's surprising they took so long to notice it--this was originally published in 1987. 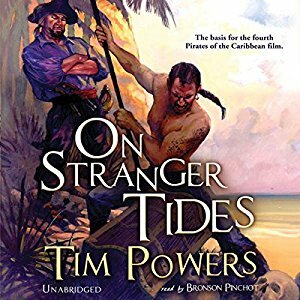 On the other hand, Powers doesn't write the same thing over and over, and this is his only "pirates of the Caribbean" novel. Also, the movie is based very loosely on the book. John Chandagnac is the son of a French puppeteer, who eventually left his father's business to become an accountant with an English merchant company. He's on his way to the Caribbean to track down his uncle, Sebastian, who cheated his father of his rightful inheritance when the ship, Vociferous Carmichael, is attacked by pirates. It's not long before he's pressed into pirate service, and renamed Jack Shandy. And not long after that, working with the most famous pirate of all: Blackbeard. Vodun, or voodoo, magic is a big part of this story, with dire consequences for quite a few people Jack comes to care about. 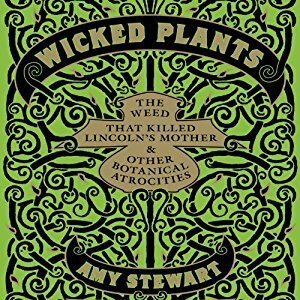 On his trip out, he'd met Elizabeth Hurwood and her father, Benjamin, who turns out to have really dire plans for her. Hurwood's partner in magic, Leo Friend, has his own terrible plans for Elizabeth. Jack at least wants to have better plans for her. If he can outwit three powerful magicians. The plot takes many interesting twists and turns, and Jack finds some very unexpected use for his puppetry skills. This is, as always with Powers, smart, well-written, creative, clever, and thoughtful. 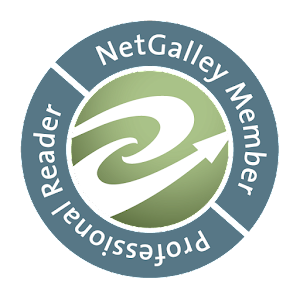 The characters keep surprising the reader in ways that are utterly plausible and convincing. 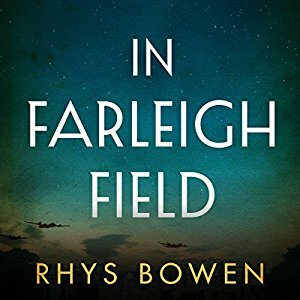 Powers also never fails to do his research, giving the novel an overall depth and reality that just can't be counted on in freewheeling historical fantasy. It turns out that this is a very challenging area to investigate, precisely because these are "just dogs" and dogs who are in many ways quite secret. In many ways, in many places, they officially don't exist. This includes in veterinarian's offices, where the normal paperwork simply does not occur. 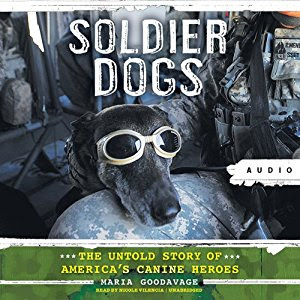 She had her work cut out for her just getting in touch with the people who could tell her about these dogs and introduce her to their handlers. The Duke of Hastings has a problem. Ten years ago, Lord Matthew Hastings died, in odd circumstances, but the doctor determined it to be natural causes. Shortly thereafter, his wife also dies, leaving his children as orphans. 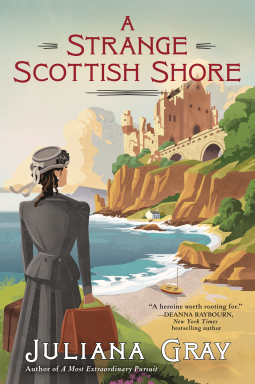 The son and heir, Edward, marries, has three daughters, and eight years later, leaves on a trip to France for business reasons. He does not return. His fate is unknown, but he is ruled to be dead. Two years later, his widow, Wilhelmina, reluctantly decides it is time for her to remarry, and for Edward's younger sister, Samantha, now twenty, to also marry. 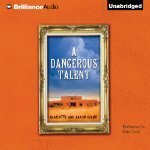 This is an Audible Original production; there is no previous book. 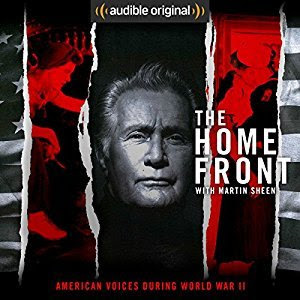 It uses oral histories including contemporaneous materials to look at what life was like at home during World War II. Long ago when I was young, World War II was truly a living memory; not only did we study it in school, but our parents had lived through it, often served in the war. We knew about Pearl Harbor, and we knew about Hiroshima and Nagasaki. Depending on where we lived, even if we were not Jewish we were likely to know people who had sadly truncated families because so many relatives had died in the death camps. We knew the names of the major battles in Europe and in the Pacific. Andie, Saeryn, and their friends and allies have won a great victory, but the war isn't over. Ashur has taken the Battalion out of Arvall to recover and plan a new attack. The Church of Sea and Stone is determined to recruit Andie--willingly or not--and make her their leader and tool to conquer Noelle. An old enemy of the dragonborn, an even older line of dragon-descended humans, who call themselves The Beautiful Dead, are determined to destroy the dragonborn and steal their magic. All three of these enemy groups are joining as allies, at least temporarily cooperating to destroy the dragonborn and their allies in Arvall. While they are fighting all these enemies, they have conflicts enough among themselves. Andie and Raesh have to work out their romantic issues. Andie and Saeryn have serious disagreements about how to lead their people, and while they both have valid points, they also both manage to be remarkably pig-headed about it. Someone long thought dead returns unexpectedly, and has a new friend that Andie has a hard tome accepting as an ally. 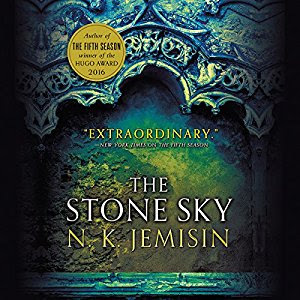 What can one say about The Stone Sky? 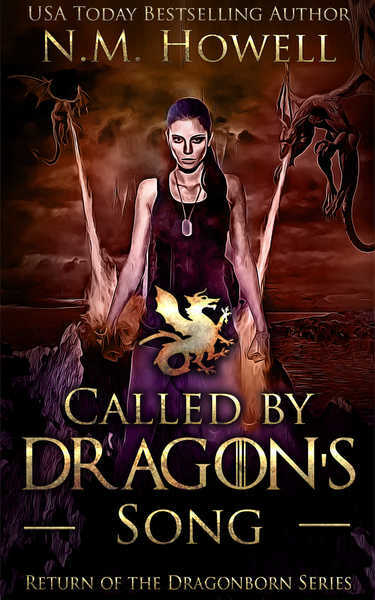 It's the most complete, compelling, original world-building I've seen in fantasy in years. The characters are complex, interesting, and compelling. The trilogy starts with the end of the world, and why not? And then we learn both how we got there, and where we're going after. 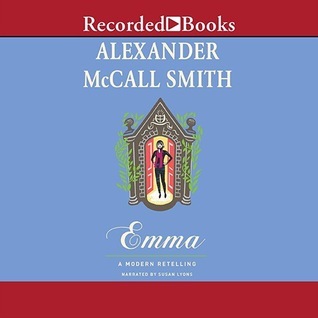 Retellings of the works of Jane Austen aren't exactly a new idea, but I really like what Smith has done with Emma. He's moved it to the 21st century, but otherwise left its setting unchanged, the small and close-knit English town of Highbury. The changes are only the changes of moving forward two centuries, uncomplicated by a move to, to use one example, Hollywood. 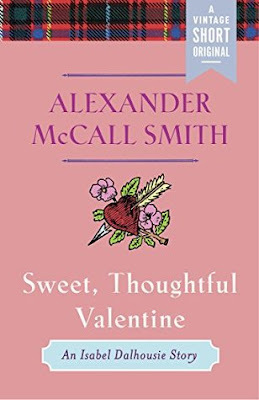 Isabel Dalhousie is selecting the perfect Valentine's gift for Jamie when she encounters an old school acquaintance who wants to show her a painting on view at a nearby auction house. The school acquaintance, Roz, has run into some money difficulties, and believes she's identified the painting as misidentified and by a far more important artist than listed. Roz hopes to repair her fortunes by picking up the picture for a song and reselling it much closer to its true value. 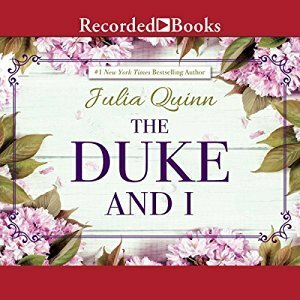 Then she discovers that the seller is an old friend whose mother is in a nursing home and whose financial reversals have been far more serious. Madigan Amos is on her second-ever zoo consulting job, doing a review of animal welfare conditions with the aim of recommending improvements. 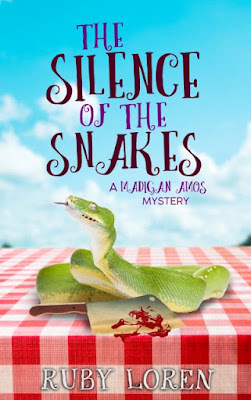 The Snidely Wildlife and Safari zoo is very different from the Avery zoo where she previously worked, including such additions as an impressive collection of venomous snakes and reptiles. The Snidely family itself is more than a bit odd, even before more distant connections start turning up. 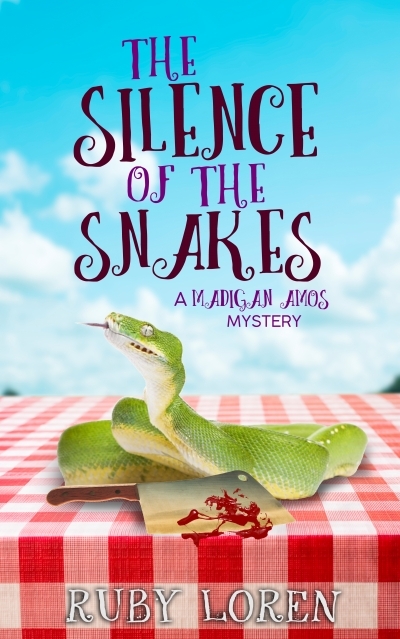 Madigan finds herself caught off guard by the venomous snakes, a string of thefts, and the unexpected arrival of Lowell, the detective who investigated the unexpected deaths at Avery. 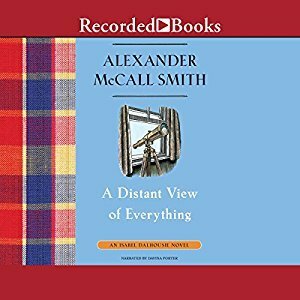 The story is a bit haphazard, and not likely to be lasting literature, but it's entertaining and enjoyable. Recommended for a light, quick read. 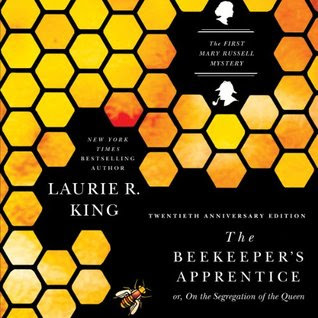 In 1915, the aging Sherlock Holmes meets teenage Mary Russell, and is taken enough with her that she becomes a student and apprentice. There's war in Europe, old social rules and barriers are breaking down at home, and life is never going to be the same. Mary Russell won't have to waste her energy, intelligence, and the education Holmes is giving her.